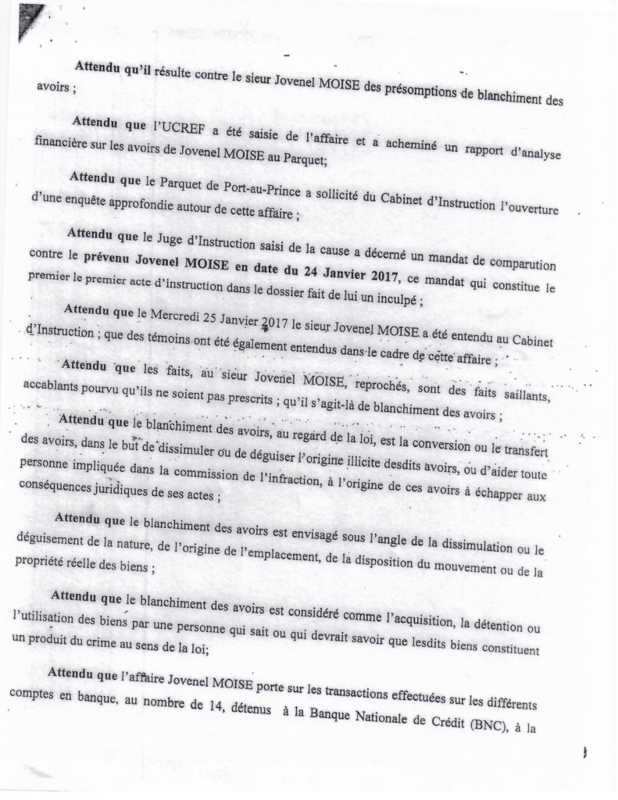 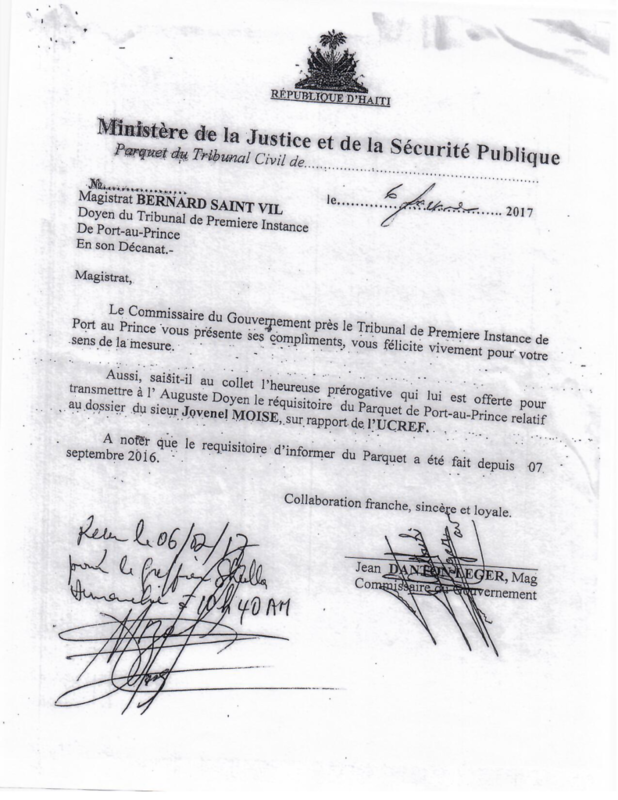 On February 6, 2017, the Commissaire du Gouvernment (Chief Prosecutor) of Port-au-Prince, Danton Leger, issued a Requisitoire Suppletif d’Informer (Request for Additional Information) in the money laundering case against President Moise. 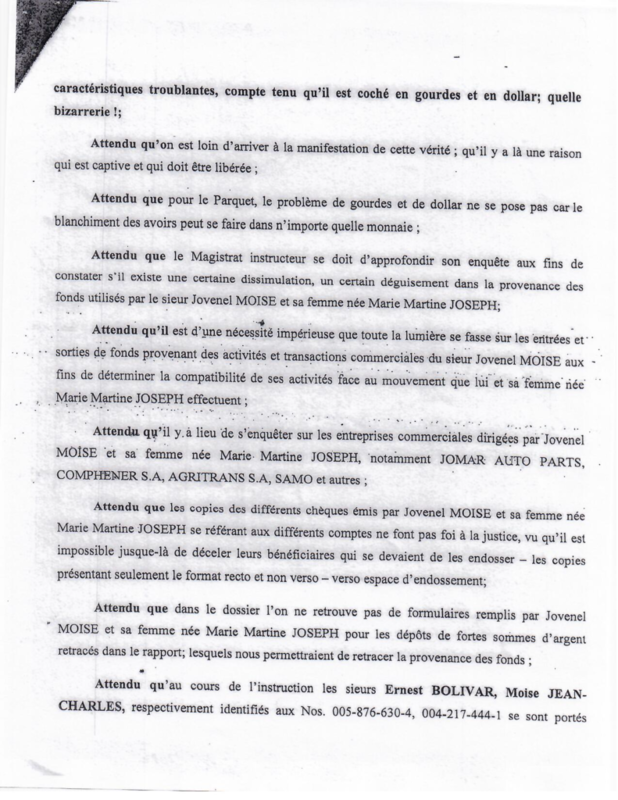 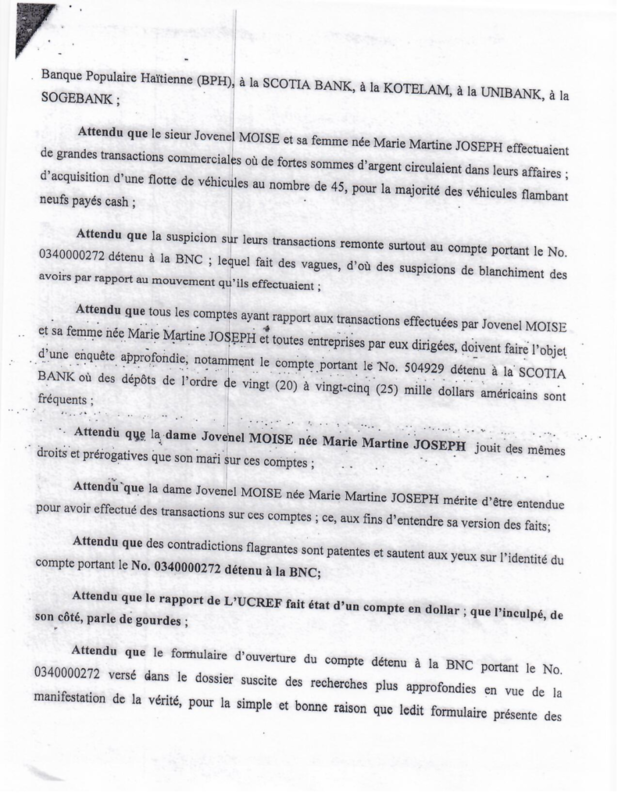 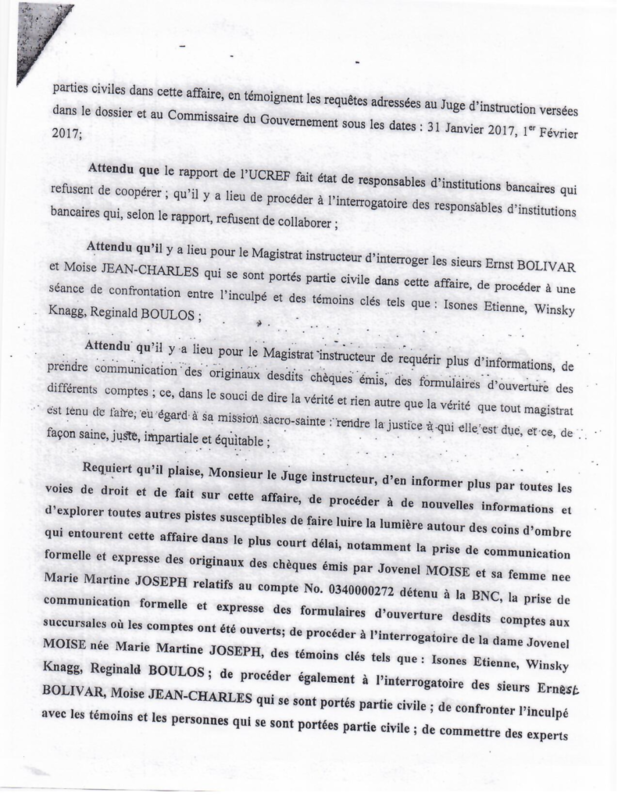 The Request calls President Moise an “inculpe” or formal suspect, and instructs the Investigating Judge to conduct further investigations into the allegations of illegal activities by the President and his spouse, especially transactions involving large, frequent cash transactions at several bank accounts. 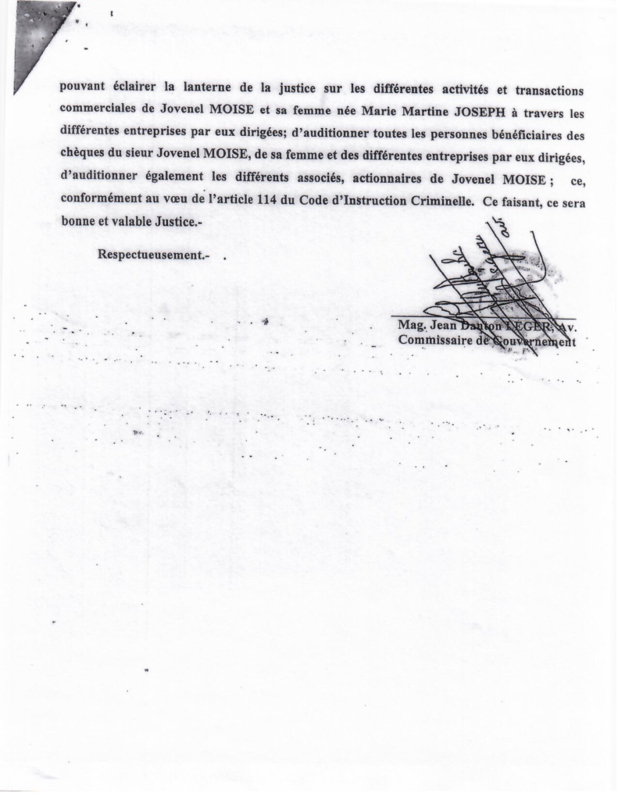 Investigating Judge Bredy Fabien conducted at least one more witness audition, on February 16, 2017, but there has otherwise been no apparent progress in the case as of March 15, 2019. 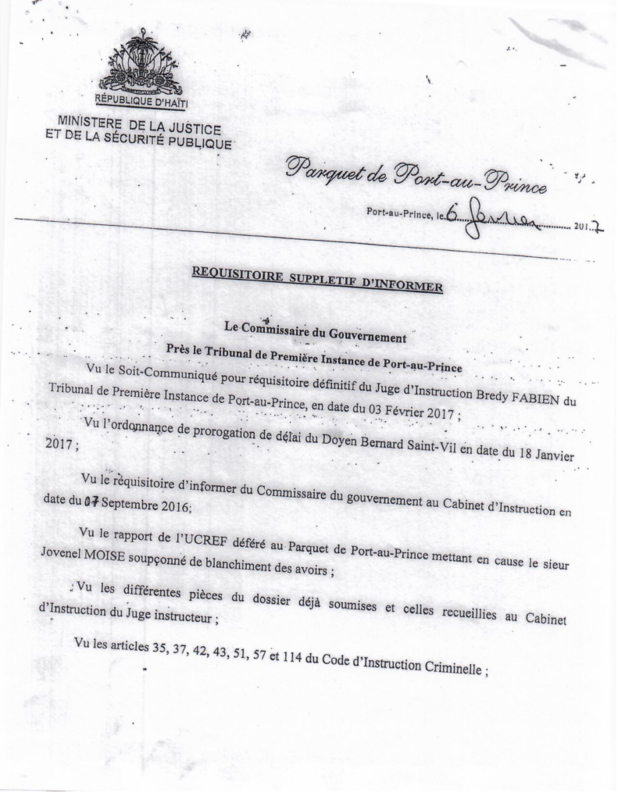 Prosecutor Leger was replaced in April 2018.